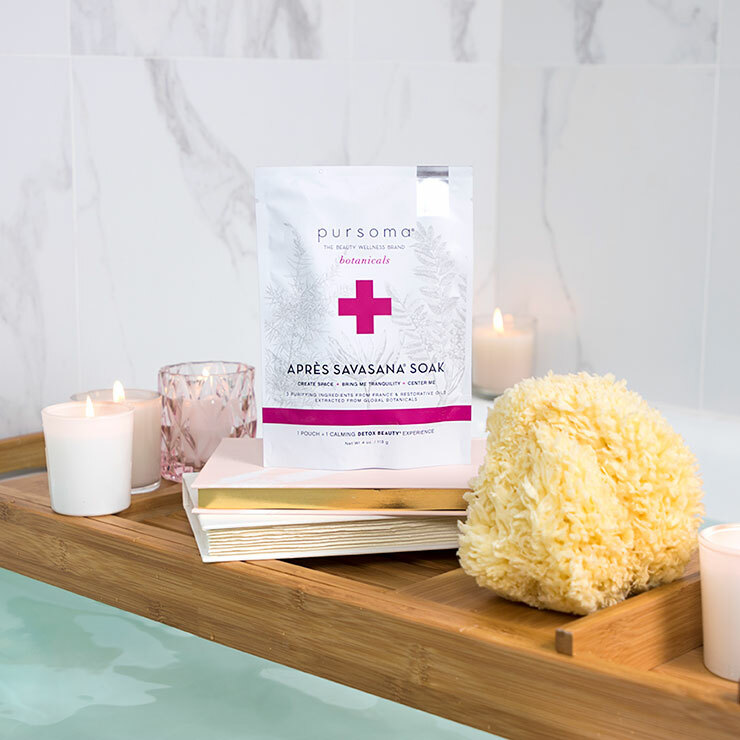 The Après Savasana Soak by Pursoma is a 1-day cleanse package that will elevate your bath to the ultimate feeling of full body calming and nourishment. Atlantic kelp, organic green algae and sea salt will make the body feel detoxified while bestowing a nurturing feel and moisturization to the skin. A centering blend of frankincense, ho wood, atlas cedarwood and Himalayan cedarwood oils boost the sensations of stillness, introspection, and the heart-opening benefits that flood the body after yoga and savasana. Take a few minutes before drawing your bath to prepare your bath area for an optimal treatment. Prepare a non-breakable cup of water or tea, soft music, candles, towels, book and everything you need to make your bath enjoyable. 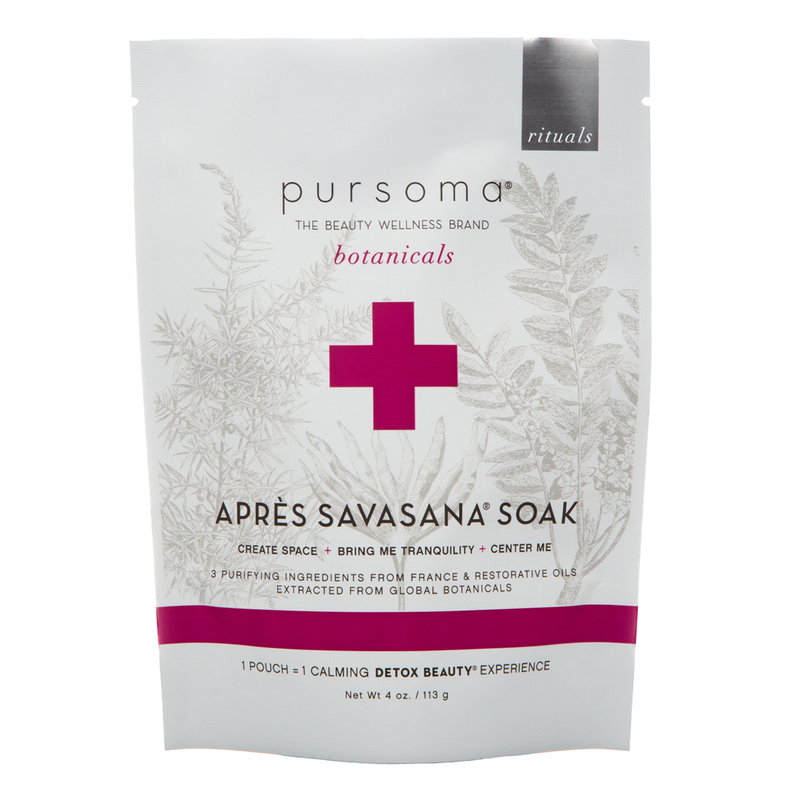 Add the entire package of Apres Savasana to bath water while filling your tub. Whilst bath is filling with water, drink 8-16 oz of water. Soak in Apres Savasana for a minimum of 20 minutes or as long as you are comfortable. If possible, do not shower after the bath, leaving the minerals on your skin. Follow bath with your favorite body oil, applied to wet or damp skin. I've been holding onto this soak for a while, and it was truly a beautiful self care experience. 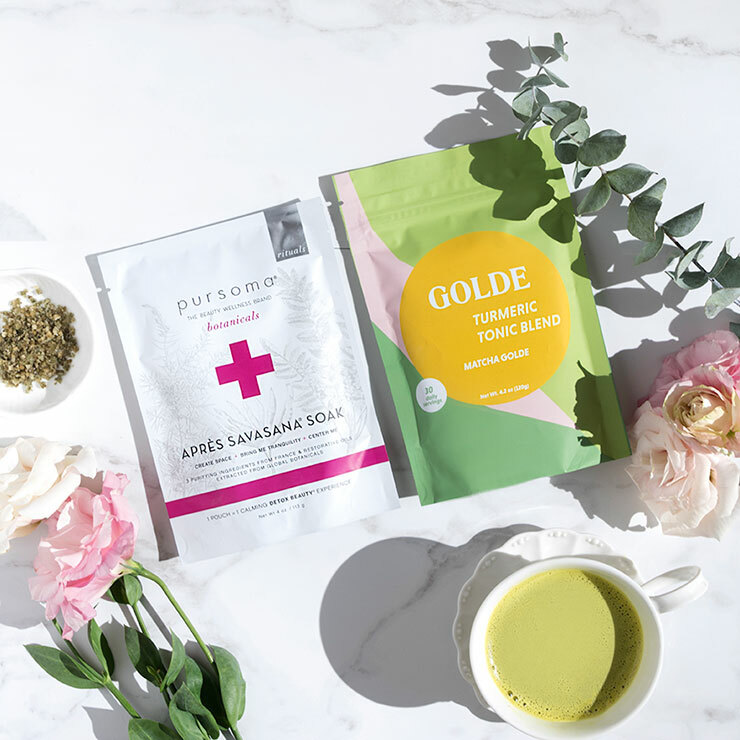 Feeding the natural microbiome of your skin is a true art form, and this soak did not disappoint. My skin felt supple and hydrated after, and I highly recommend this as an after yoga soak. Especially a tough practice!